This is not a good morning for me. I woke up with an aching body (damn Barre3) and a mild headache. I've been staring at the screen for about two hours just thinking about what to write. Hay! I have several meetings today on top of this. But the show must go on! 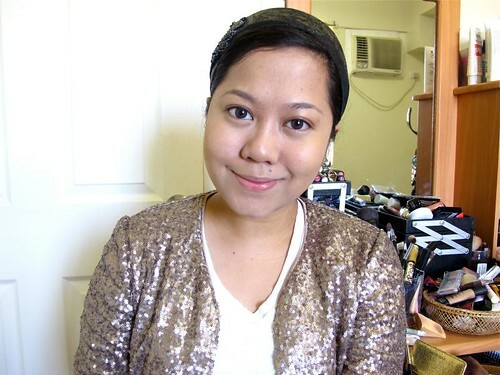 Today I'm going to write about a powder foundation that I've been testing for week. 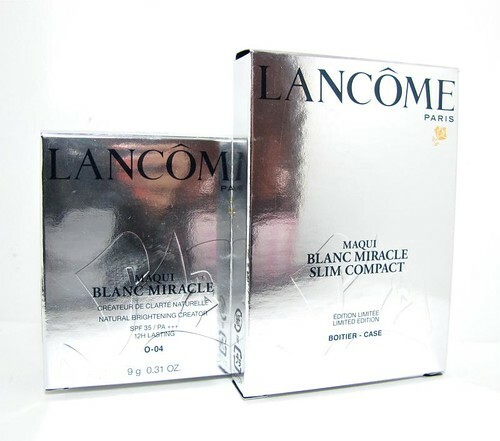 Being a fan of the Lancome Teint Miracle liquid foundation, I was excited to see if the new Lancome Maqui Blanc Miracle Foundation (P1,895 for the refill, P995 for compact) is as good. 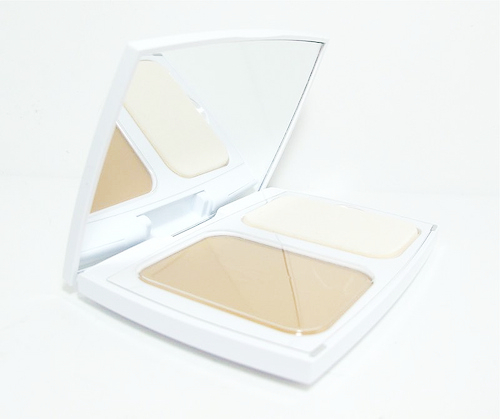 Well it is (subject to the limitations of a powder foundation of course), and here's why! Delivers a natural-looking, satin finish with a bit of glow. This is the ideal finish for me. Coverage is medium to heavy. 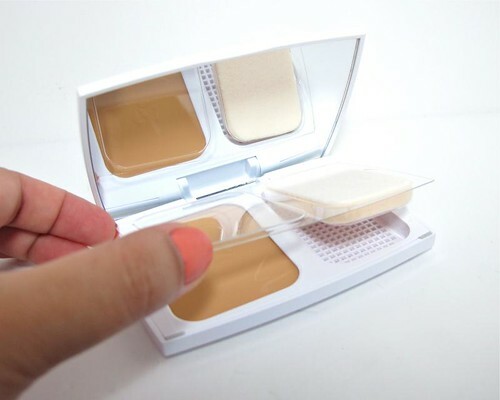 It can cover minor blemishes and uneven areas by itself. Lasting power is very good. I've worn this all day and it never cakes, though it fades just a tiny bit. 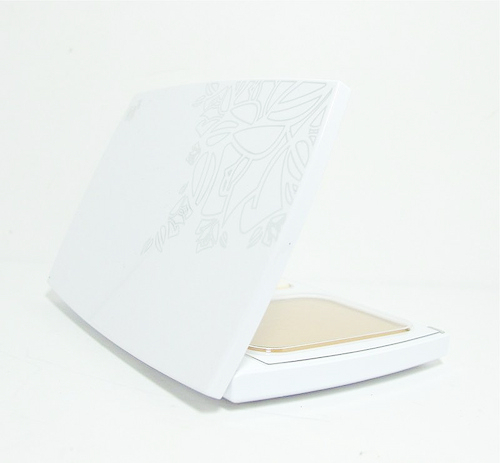 Powder is very smooth and finely milled, which means it never looks chalky and settles on skin well. It's very easy to work with! I like to buff it in with a huge kabuki brush, but the sponge is good too. Love, love the compact. It has a magnetic closure - not a clasp, there's just magnets inside the compact itself. 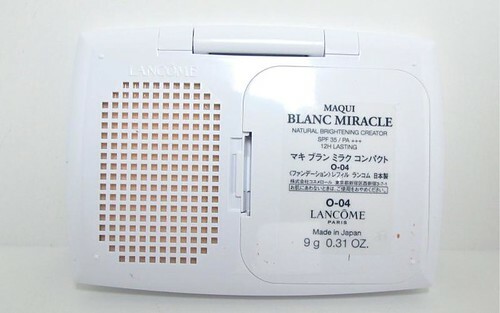 It looks very sleek and slim, worthy of the luxury that is Lancome. :) On the practical side, there are neat holes underneath the sponge area so it can dry up properly. Compact includes this plastic cover to keep your foundation and sponge clean. 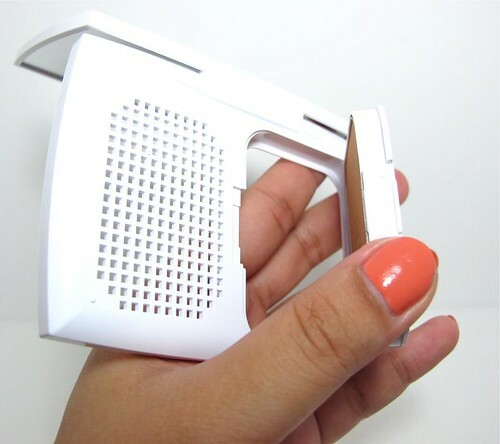 To attach the refile, just snap it in the back! Easy peasy. Just concealer and the powder. Doesn't look like I'm wearing makeup no? 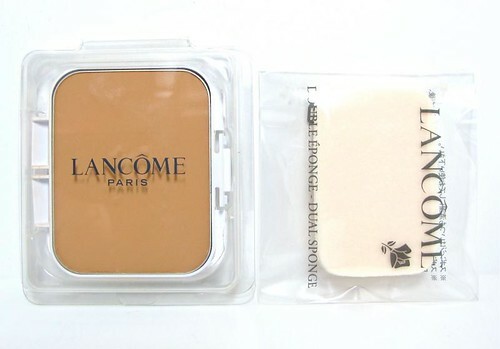 It's quite expensive for a powder foundation. The total cost is P2,890 for both the refill and compact. 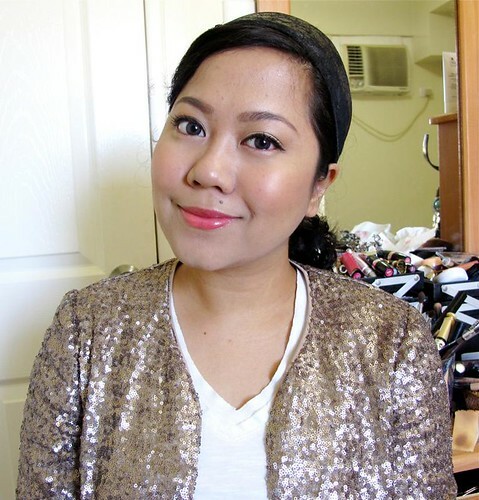 Most luxe brands peg their foundations at P1,700 to P2,500. So so oil control. Not particularly good but not bad either. It's just right for my oily combi skin. 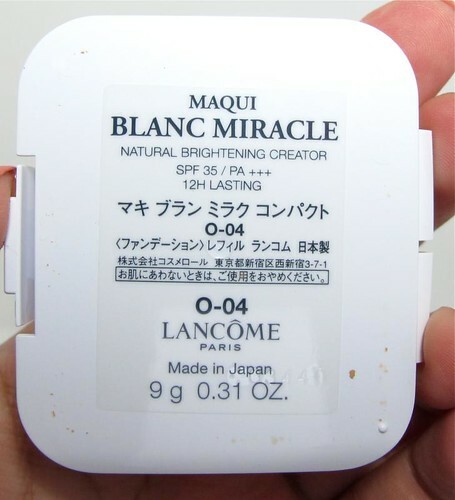 O-04, my perfect shade match with the Lancome Teint Miracle, is slightly lighter in the Maqui Blanc line. Nothing crazy obvious though. If you have dry to combination skin, this is perfect for you as is. For really oily girls, you may need to use a primer or makeup base. Love the product, don't love the price. 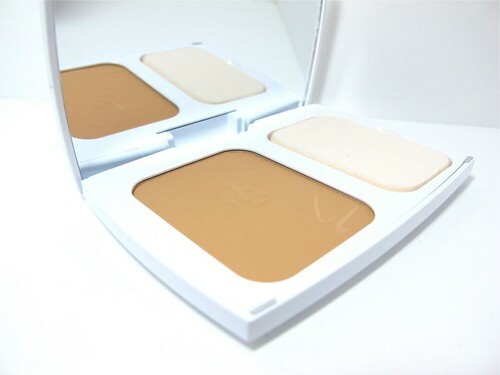 I use this everyday either on its own or as a setting powder for my liquid foundation. Great stuff! What do you think, worth the moolah or not?